For those who don't know, the 2012 Venice International Film Festival concluded overnight and the awards have been now been distributed. 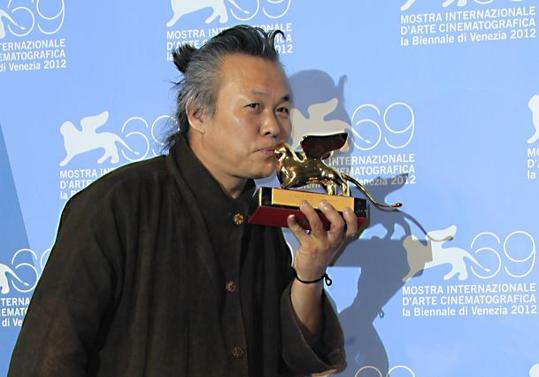 The Venice jury, led by American filmmaker, Michael Mann, was set to award the festivals top prize to Paul Thomas Anderson's drama, The Master, but because of an odd rule - no film can be awarded for more than two major categories - the Golden Lion went to Korean director Kim Ki-duk's Pieta. Anderson picked up the Silver Lion for Best Director, and stars Joaquin Phoenix and Phillip Seymour Hoffman were jointly awarded Copa Volpi for Best Actor. But once these two awards had been agreed on, the rules prohibited the Golden Lion be awarded to The Master, unless one of these awards were dropped. The deliberations resulted in the Golden Lion to be awarded to Pieta. In other awards, the special jury prize went to Ulrich Seidl for his exploration of religious faith in Paradise: Faith, while the Copa Volpi prize for Best Actress went to Hadas Yaron for her work in Lemake et Ha’Chalal from Israeli director Rama Bursthein. This continues to controversy surrounding the festival, with some dubious decisions having been made in the past. Somewhere's win in 2010 sparked controversy, as did Mickey Rourke's loss in 2008 due to the jury being unable to honour both The Wrestler AND his lead performance. Ultimately, it seems pretty clear that the best film screening at this year's festival was The Master, and Paul Thomas Anderson fans could not be more excited by this news, despite it not walking away with the expected accolade. Strange rule but good news for Pieta. The Master's going to scoop every award going everywhere else probably.